The Backwoods Lodge is located only 27 miles south of Denali National Park in the wild and scenic Alaska Mountain Range in the small community of Cantwell. The true nature of the Alaska wilderness still surrounds us. We are located 4 hours north of Anchorage and 2 ½ hours south of Fairbanks. Cantwell offers spectacular views of Mt. Denali and there is an abundance of wildlife, especially moose. The lodge is at the intersection of the Parks Highway and the Denali Highway. The lodge is located in a quiet wooded area and the vast majority of our guests are here to enjoy the solitude away from the hustle and bustle just outside Denali National Park. It is a very scenic drive from Cantwell to the National Park and you’ll arrive in under 30 minutes. Many of our guests begin or end their journey of the Denali Highway at the Backwoods as we are located at mile 133.7 on the Denali Highway. 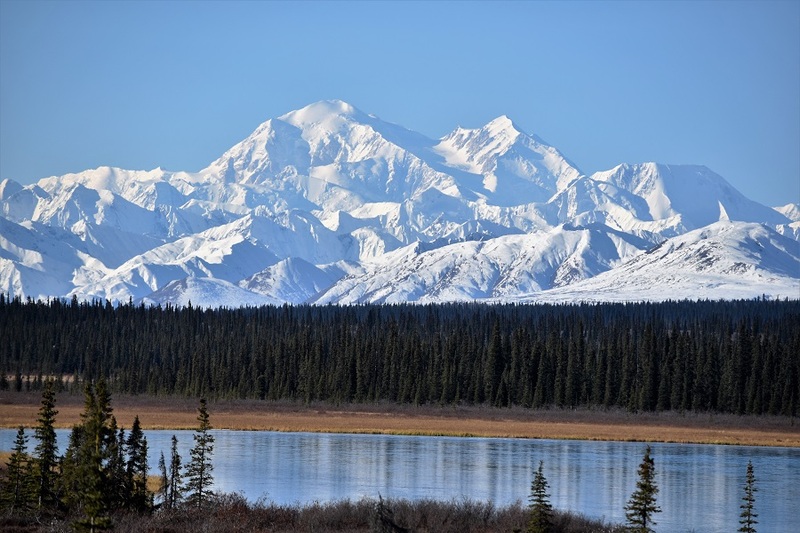 The Denali Highway is listed by National Geographic as the #2 scenic drive in the world! The Backwoods Lodge is owned and operated by a brother and sister team, Carol Croteau and Brian Croteau. We moved to Alaska from North Idaho in August 2014 when we purchased the Lodge. We were both looking for something different than our 9 to 5 jobs and we certainly found it here in Alaska, a paradise for outdoor lovers. Brian has worked in construction and Carol was a Clinical Coordinator at a busy hospital in Coeur d’Alene, Idaho. We both share a love for the outdoors and enjoy most of the activities found in the outdoors in Alaska. Thank you for considering us for your lodging needs and if you decide to stay at the Backwoods we will do our best to ensure you have an enjoyable stay. We are known for our impeccably clean rooms. Carol and Brian wish you an incredible Alaskan vacation wherever you decide to stay. Cantwell served as film locations for the “Lure of the Yukon” during the 1920’s and “Into the Wild,” in 2007. Kevin Bacon, Sean Penn and Emile Hirsch stayed at the Backwoods Lodge during filming. Neil Diamond also stayed at the Backwoods in the 90’s.